Investigations are underway in a town right outside of Dallas, Texas, as several students from Plano East High School have been caught sending violent and threatening anti-LGBT messages directed at one of their gay classmates. A screenshot was taken of the group chat, which happened on Snapchat. In the screenshot, three different students are seen conversing. 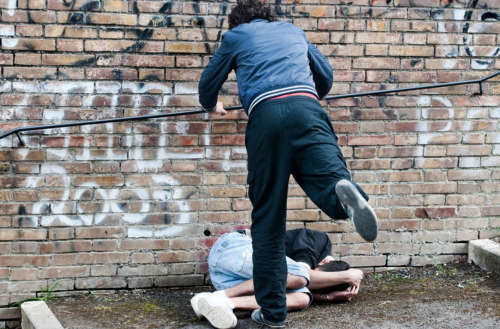 The first student’s message read, “Can someone beat the gay out of him? 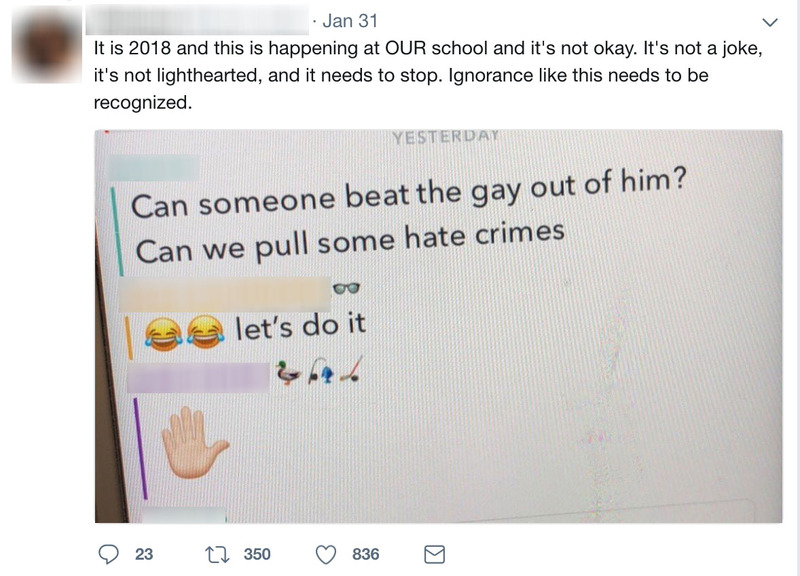 Can we pull some hate crimes” A second student responded with two laughing emoji followed by “let’s do it.” The last student sent a raised hand emoji, signifying volunteering. Screenshot of Snapchat taken by Plano East High pupil showing hateful comments made about a gay student. Henderson stated that the conversation happened after a video of him dancing made its way around the school. The Plano ISD School Board is set to meet this Tuesday to revisit the district’s bullying and cyberbullying policies.